One of the items on the agenda for the State Board of Education in two weeks is the possible approval of 25 more charter schools to open in the fall of 2013. That’s how many new charters the N.C. Public Charter School Advisory Council has recommended that the State Board approve, using a ranking system that evaluates the charter applications on things like their mission statement, discipline policy, business plan, etc. 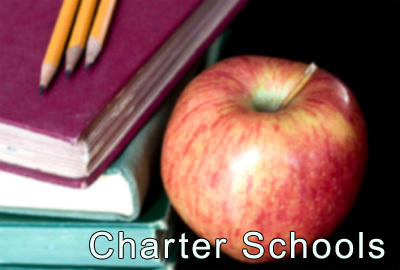 There are currently 108 charter schools in operation in the state. The cap of 100 was lifted by the General Assembly in 2011 and 8 of the 9 schools approved on a fast track application program are opening this year. If the board approves all 25 of the recommended schools for opening next fall, that means the state will have 134 charter schools up and running next year, a 34 percent increase since 2011. In case you are wondering who is responsible for overseeing all of those schools to make sure they are living up to their promises and spending their state dollars properly, that would be the Office of Charter Schools in the Department of Public Instruction. That office consists of two full-time employees and four consultants. That’s absurd for an office charged with overseeing 100 schools, much less 134. And that’s not the only issue that ought to give members of the State Board pause at their next meeting. There are other serious issues about the schools that are not reflected in the simple rankings used by the Advisory Council when coming up with their recommendations. Sixteen of the 25 schools have no transportation plan other than requiring families themselves to make sure their children make it to school. That makes it impossible for many families to even consider some of the charters that are supposed to be open to all students. Eighteen of the schools have not identified a facility they will use to hold their classes. That seems like information the State Board would need to make an informed decision about the schools. Then there are the serious concerns by the local school districts, particularly in urban areas, of the impact the charters will have on their enrollment and funding. Guilford County School officials are worried that the charters that may open in their county will duplicate specific programs and curriculums already offered by the traditional public schools. That certainly seems like a relevant point for the board to address. Charter schools were billed as schools of innovation, not schools that copy innovations already created by traditional public schools. There’s plenty more that board members ought to consider. Four of the schools were found by the Advisory Council to be inadequate in their plans to serve students with special needs, again making the schools unavailable to some students. And finally, there’s the question of who is running the schools and who is making the decisions about how they are run. Seven of the 25 recommended schools will turn over either the day to day management or various operations to for profit companies with five of them of the corporations not even in North Carolina. Are charters about providing an education or making a profit for an out-of-state company? 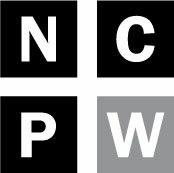 Sarah Ovaska of NC Policy Watch reported last year that two officials of a right-wing foundation based in Oregon that gives money to a Rutherford County charter school sit on the school’s board, making decisions about how millions of dollars of North Carolina taxpayer money is spent. Supporters of expanding charter schools often remind skeptics that charters are actually public schools too. That’s right and members of the State Board of Education should remember that next month when considering the new round of charters for approval. They are public schools funded by public dollars. That demands public scrutiny and accountability, not to mention the need for answers to a lot of troubling questions before any decisions are made.